Funtasticks Family Fun Park. Located in Tucson, AZ is a classic amusement park that offers a diverse range of fun attractions for people of all ages. Visitors can enjoy go karts, bumper boats, a massive arcade and of course, Tucson's largest laser tag arena. Also, Funtasticks also has the classic fun of a put put golf course. 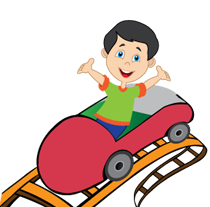 For the younger kids, the park has kiddie land, which has rides and attractions built just for the kids. Also, don't forget to check Funtasticks water park to cool down and relax by the water. The park is very economically priced, so families on almost any budget can enjoy what Funtasticks has to offer. So anyone living or visiting Tucson should be sure to pay Funtasticks Family Fun Park a visit. Click here for more specials and discounts.